VIENNA JAM 2018 from Sebastian Grubinger on Vimeo. Good people bring good vibes and this is so evident from this years Vienna Jam. BMX and flatland needs more of this level of event. Look at all the smiles and good times from Tom Sevisual’s Vienna Jam edit above and Sebastian’s repo below. Big respect to Sebastian for putting this event on and helping grow flatland at a grassroots level whilst on a big stage. Dustyn Alt killed it all weekend long. Winning the Best Trick on Sunday and collecting plenty of euros during the cash for tricks jam. 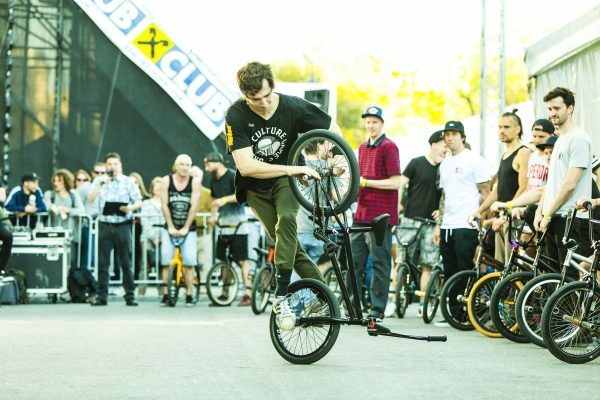 Now, 8 years later, I got the chance to organize the Vienna Jam at one of European’s biggest bike festivals. 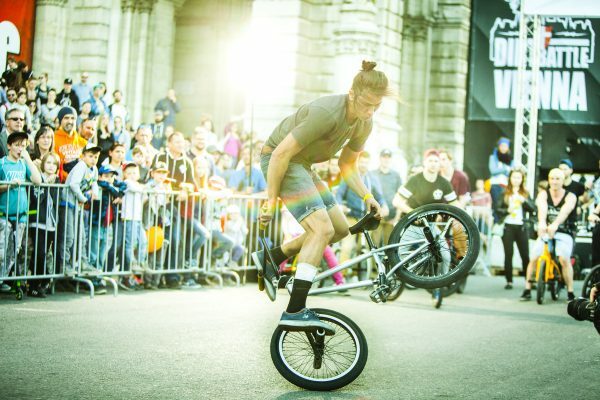 The “Bike Festival Vienna” happened for the 20th year in front of Vienna’s city hall on the „Rathausplatz“. It has over 100 000 visitors on the weekend and shows all kind of bike sports. Vienna Jam 2018. 35 riders, 14 nations. 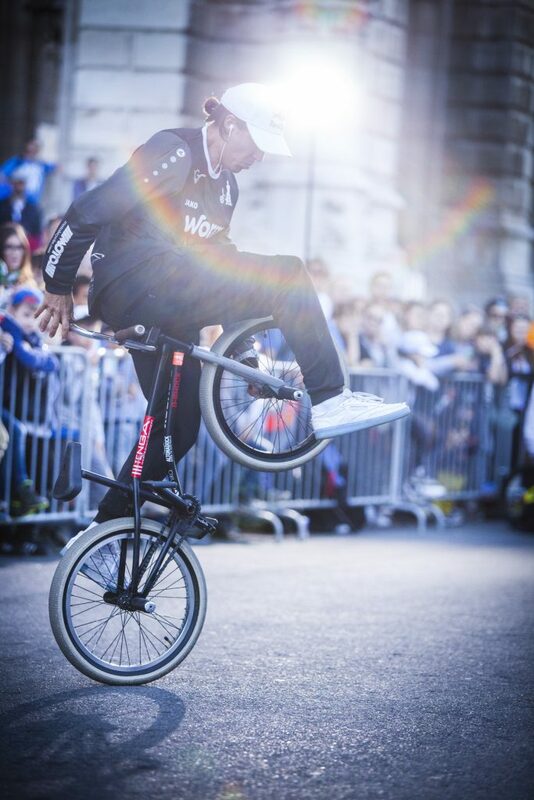 An amazing weekend for Flatland. Sietse van Berkel. On and off his bike is amazing. And you should see him teaching flatland to the kids. 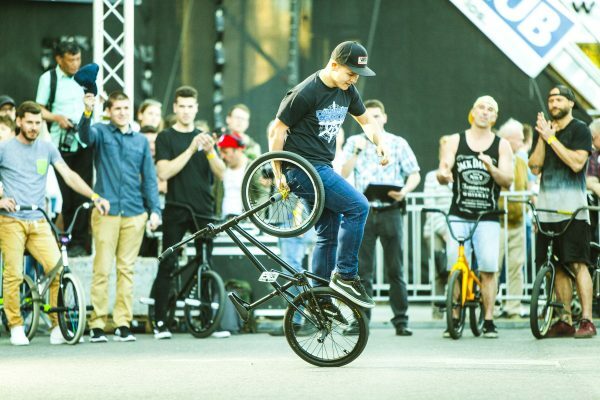 Akos Bordas representing Hungary during the cash for tricks and the best trick contest. 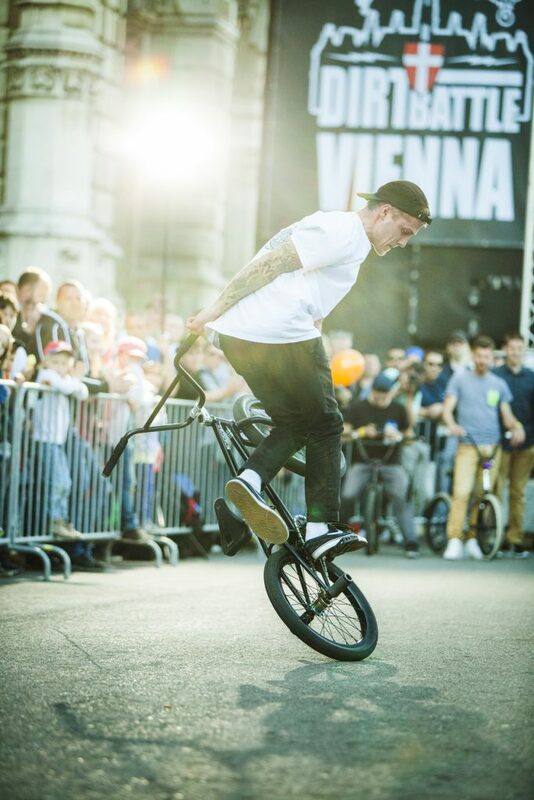 Friday the Vans Vienna Pre – Jam went down on Vienna’s local spot „Heldenplatz“. Already a lot of riders showed up and spent the evening together riding and hanging out. A very promising start into the weekend. Saturday all started with Flatland workshops. Viki and me offered everyone who’s interested to ride a BMX bike and try some tricks. To be honest I didn’t expect so many people and I have to say a huge THANK YOU to all the riders who helped out. Workshops were scheduled for 2 hours but it happened to be all morning. Anyway it was a blast to see kids riding and trying their first tricks! The future is bright! Mates Tucek impressed everyone with his mind blowing x-ft skills. Around noon more and more riders arrived and started to rock the spot. The „Cash for Trix“ Jam late afternoon turned turned out to be huge: 35 riders from 14 nations. We had 500 Euros in small bills to give away and everyone, from beginner to pro, was killing it while DJ Preddy was spinning his 45s. Right after the Cash for Tricks Jam all the riders moved from Rathausplatz to Heldenplatz to throw down the biggest jam I’ve ever seen on my home spot! Amazing vibes. We ended the day at a local pub with around 20 riders – cheers! Dustyn Alt mid best trick winning line. Again, after a few hours of workshops on Sunday morning, everyone got ready for the Best Trick Contest. 1,5 minutes for each rider to show the best combo or trick. Price money for top five (700, 400, 200, 100, 100). 19 riders from 11 nations took part and everyone rode amazing! Some landed the combo first try, some in the last second. A huge audience was amazed! Dustyn Alt took the win. He started the Contest and had to leave right after his 1,5 minutes to drive back 6,5 hours to Germany to go to work. Second place went to George Manos, followed by Gilles van de Sompel. Wolfgang Sauter and France Granic placed 4th and 5th. 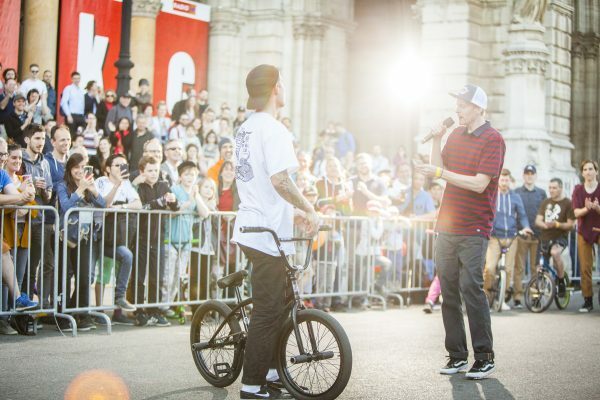 Showing his talent not only on Belgium TV, but also at the Vienna Jam. Gilles van de Sompel. I can’t thank all of you enough who came to Vienna and made this event and weekend so special! You all rule! 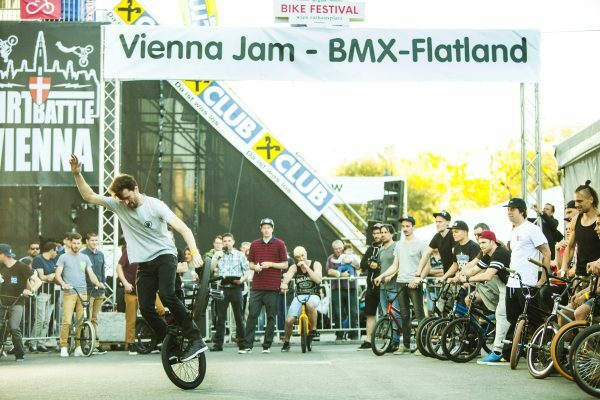 The Vienna Jam will be back for sure – I don’t know when and I don’t know where but I promise, the main goal, like 8 years ago, will be: bring riders together and have a great time riding BMX! Viki Gomez at the Vienna Jam for the second year. Here, mid death truck line.